Mac spotlight and finder are great way to find files on Mac. 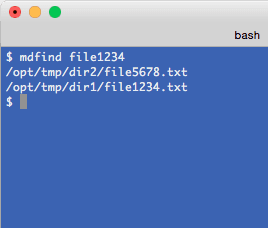 But Mac also has command line utility mdfind (utility to query meta data) which can be used to find files on Mac. It uses the same meta data which is used by spotlight search but can also find system files. Here are some use cases.